Ticket ordering and sponsorship form is available here. The net proceeds of the Annual Concert will be dedicated to the development of all extra-curricular activities. For enquiries, please contact Music Association Facebook page or Instagram. 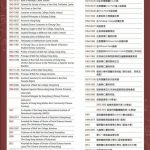 In the past four years since establishment in 2015, our free on-site English tutorial program has expanded progressively, and currently serves six secondary schools in Tin Shui Wai and six in Kwai Chung. Over 1200 under-privileged students have benefited from our service, and some 60 alumni have been recruited to help out, mainly through the support of the two past students associations. In view of the expansion, we now need more tutors from the Wah Yan community. If interested, please complete and return the enrollment form to us. Should you have any questions, please do not hesitate to contact either Stephen Lam (WYHK’75) at 93297501 or Herbert Chan (WYHK’79) at 90816207. We look forward to your favourable response. PSA has set up the Aviation Fraternity, and would like to invite all WYK alumni who work in the aviation industry including, but not limited to, airline staff (pilots, flight attendants, engineers, dispatchers, etc. ), CAD, GFS, private jet companies, aircraft finance leasing company, international regulatory bodies (ICAO, IATA, etc. ), to join as members. We also welcome students who are studying for an aviation/aeronautical/aerospace degree to join. The aim of this fraternity is to gather alumni in the same industry and student who will be joining the industry to share experience and mentoring newcomers. Please invite the link of the FB page of Aviation Fraternity for more information. 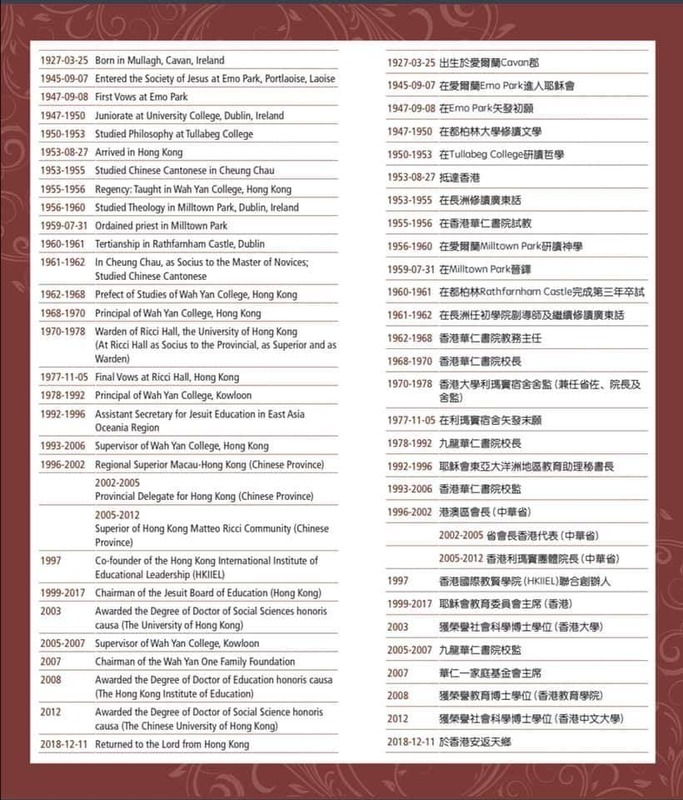 Should you want more information, please feel free to contact Mr. Cuthbert Lo (WYK, class of 97), convenor of the Aviation Fraternity, at aviation.fraternity@wykpsa.org.hk. The Funeral Mass for Fr. Deignan will be held in the Chapel on 22 December 2018, and the car park will be closed in the morning, from 7:00 a.m. to 1:00 p.m., to make way for the funeral procession. Only authorized vehicles will be allowed in the car park, and security guards will be on duty for traffic flow control. Please follow their instructions so that we could have a peaceful environment for the funeral. For vehicle parking registration, please contact the school office at 2384 1038. 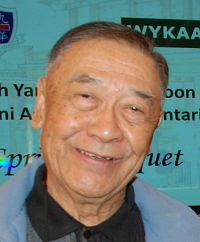 Let’s pray for Fr. Deignan’s triumphant return to Our Lord. It is with deep sorrow that I am announcing the passing of Fr. Alfred Deignan. Fr. 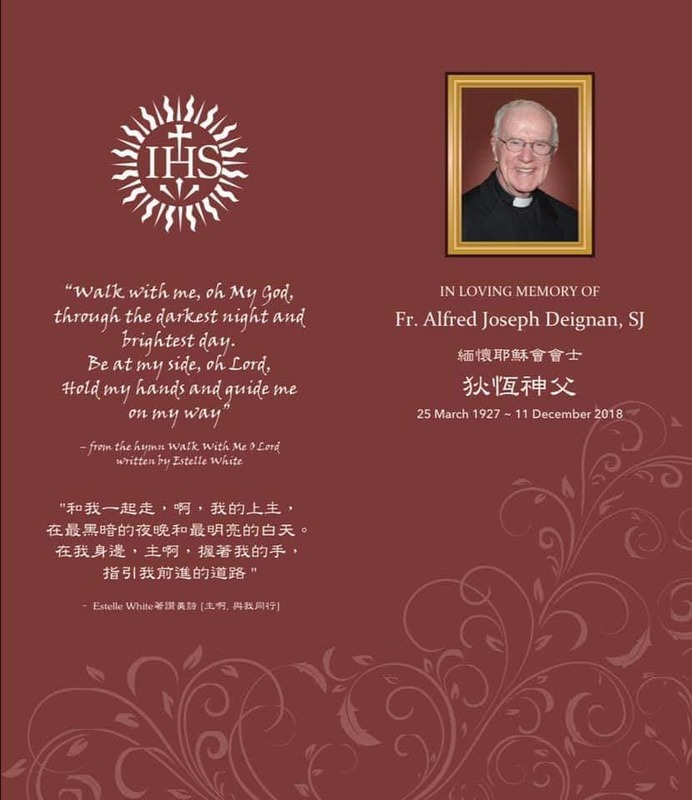 Deignan left this world for his Eternal Home from St. Paul’s Hospital, Hong Kong at 3:43 a.m. on December 11, 2018. Fr. Deignan’s life has been an embodiment of the loving-compassionate God. He is now meeting the Source of Love and Compassion face to face. May he continue to pray for us who are trying our best to live a good life in this world. ​Fr. Deignan was born in Mullagh, Co. Cavan, Ireland on Mar. 25, 1927. 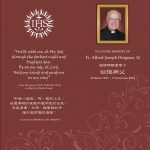 He entered the Society at Emo Park, Portlaoise, Laoise, Ireland, on Sep. 7, 1945; was ordained to the priesthood on July 31, 1959 in Dublin and professed the final vows on Nov. 5, 1977 at Ricci Hall, Hong Kong. Below please find the detail and the links on Old Boys’ Choir 10th anniversary concert.